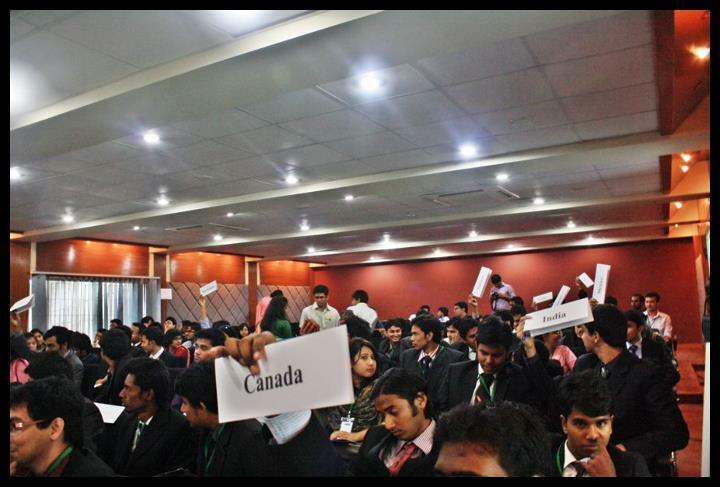 Dhaka witnessed the most solemn youth summit in regards to diplomacy and sustainable development on the May 11 and 12, 2012, through Dhaka+20 Model United Nations Conference. Being above par of regular youth conventions, it did not reflect on mere celebrations, rather it was a formal meet of the Bangladeshi youth to set forward a legitimate UN resolution to be presented in the United Nations Conference on Sustainable Development (commonly known as Rio+20) to be held in June 2012 hosted by Brazil in Rio de Janeiro, as a 20-year follow-up to the historic 1992 United Nations Conference on Environment and Development (known as ‘The Earth Summit’) that was held in the same city. Rio+20 will address the challenges and deficits of the entire globe. It should be noted that, Rio+20 is a key milestone in a series of major United Nations conferences, in which the 1992 United Nations Conference on Environment and Development (Earth Summit) was the centrepiece, putting sustainable development as a top priority on the agenda of the United Nations and the international community. Dhaka+20 was the representation of Rio+20 through the Bangladeshi youth with direct ties to the United Nations. 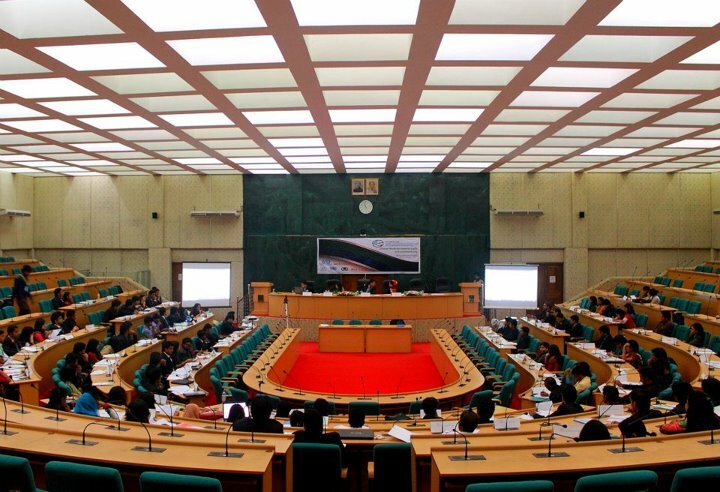 The conference took place in Dhaka University Business Faculty Auditorium on the 11th and the Senate Auditorium, Dhaka University on the May 12 declaring the official resolution and closing the curtains. On the first day, 120 students from over 25 universities a (both public and private) assumed role of delegations of 60 nations and the first session was in motion by 10 AM. The whole day ran through several moderated and un-moderated caucuses, speakers’ lists, voting procedures and other elements that conform to the original UN General Assembly decorum. Throughout the two days, these 120 young Bangladeshis minds had to switch from their own personalities and ponder on global issues from 60 points of views of 60 countries (including Bangladesh), which is probably the most insightful aspect of the convention. Combating and mitigating climate change, tsunamis, earthquakes, landslides, floods and other natural and manmade disasters were the focal points of discussion in the conference. The visions of the most vulnerable communities – the youth, women and children were elucidated in an international platform the conference. After a gruelling diplomatic two days, a comprehensive resolution was passed and the ceremonious curtain closing was done in an auspicious manner with distinguished guests commensurate the formality of the convention. 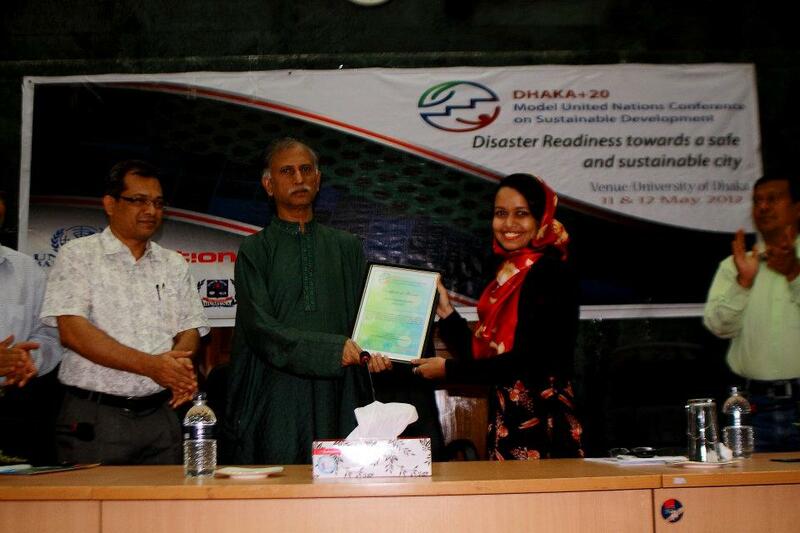 The Chief Guest was Professor AAMS Arefin Siddique, Vice Chancellor of Dhaka University. Among the special guests were Kazi Ali Reza, Officer-in-Charge, UN Information Centre, Dhaka; Professor Delowar Hossain, Chairman, Dept of International Relations, Dhaka University; Asgar Ali Sabri, Acting Country Director, ActionAid Bangladesh and Syed Saikh Imtiaz, Chairman of Trustee Board, UN Youth & Students Association of Bangladesh. The guests awarded outstanding participants for best position paper, best delegation(s), best diplomatic personality, best inter-country friend and delegate of the conference. Besides the participants, the tireless efforts of the organisers were appreciated through awards to several organisers who brought the United Nations assembly to Bangladesh. Dhaka+20 was a conference that was one of its kind to be held in Bangladesh. 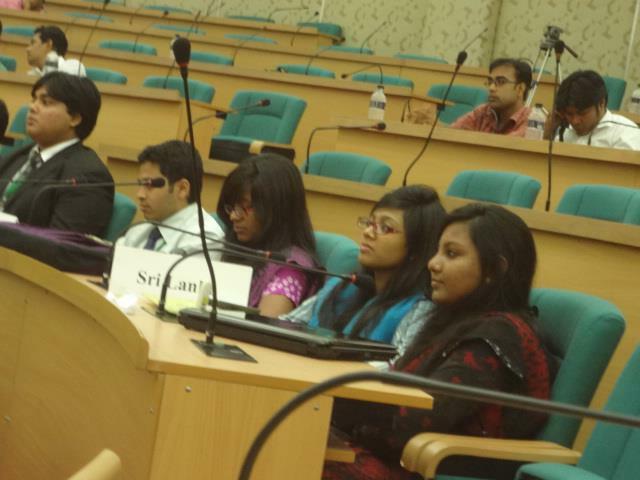 Through this summit, the young Bangladeshi voices have reached out to the United Nations. Dr. AAMS Arefin Siddique, Vice Chancellor of Dhaka University, commended the efforts of UNYSAB and the participating youth of Bangladesh and encouraged more endeavours in leadership building and voluntarism driven initiatives in Bangladesh.